it’s a sad day when i have free time, but no desire to sew. perhaps i am just overwhelmed by all of the items on my to do list. 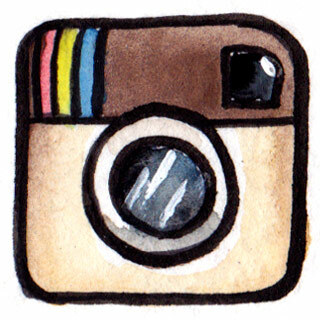 i do however have something super exciting to blog about that i have been keeping to myself for quite some time now. 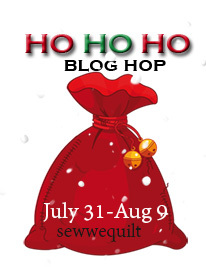 i first met yvonne, aka quilting jet girl, last year during the new quilt bloggers blog hop. that’s a mouthful! yvonne is one of the sweetest and most talented women i have “met.” well, virtually met. 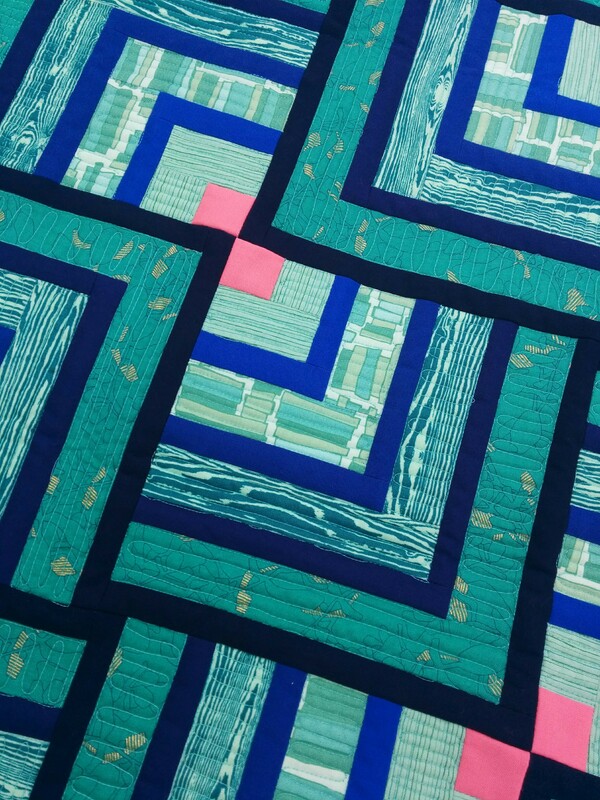 she makes amazing quilts, and finds time to keep up with us blogging gals. she also always leaves a kind comment or encouraging word on whatever project we have just finished, or are working on at the current time. 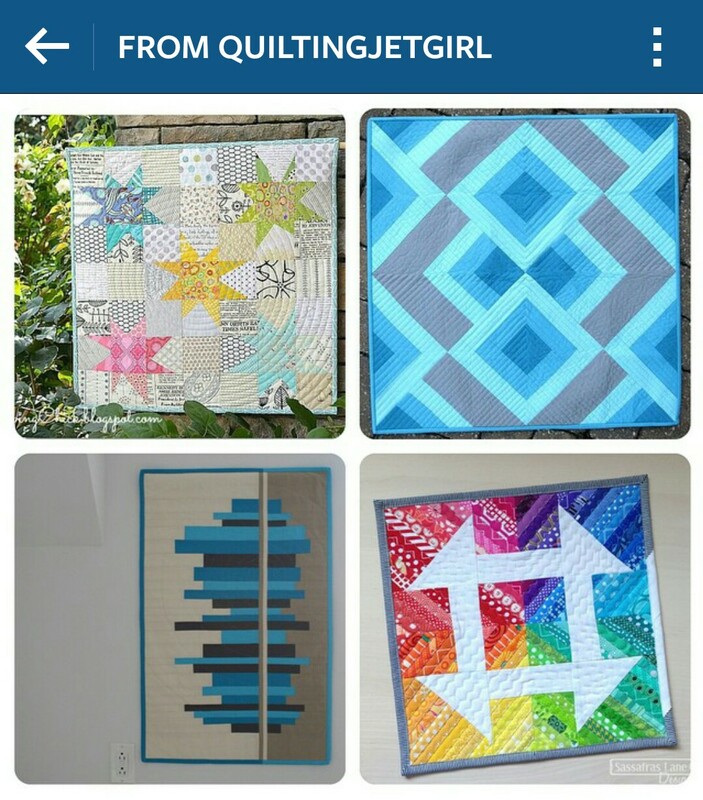 i already knew i was going to enjoy myself, because i think i have the same top two quilts saved on my pinterest boards. 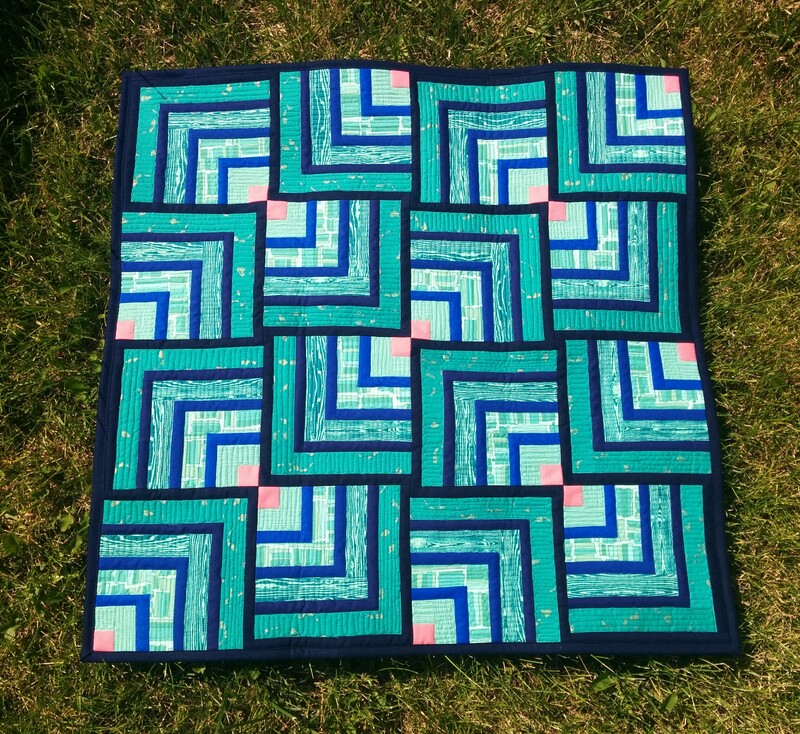 i had a lot of directions i could go with this quilt…low volume wonky stars? statement graphic piece? simple linear? scrappy rainbow churn dash? after much deliberation, and continually being drawn back to the blue and gray squares, i decided to do a variation of a bento box. 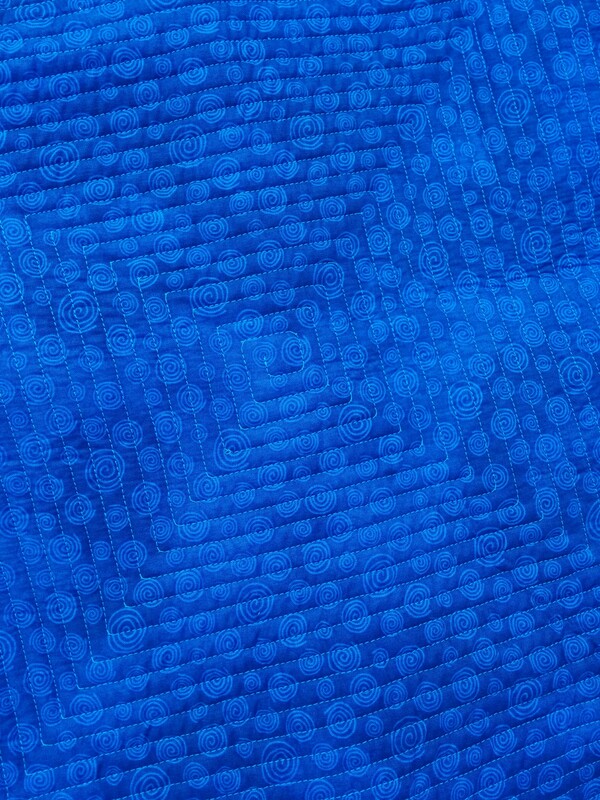 i already had blues and oranges picked out, per yvonne’s favorites, so now i just needed to find, or create a pattern. 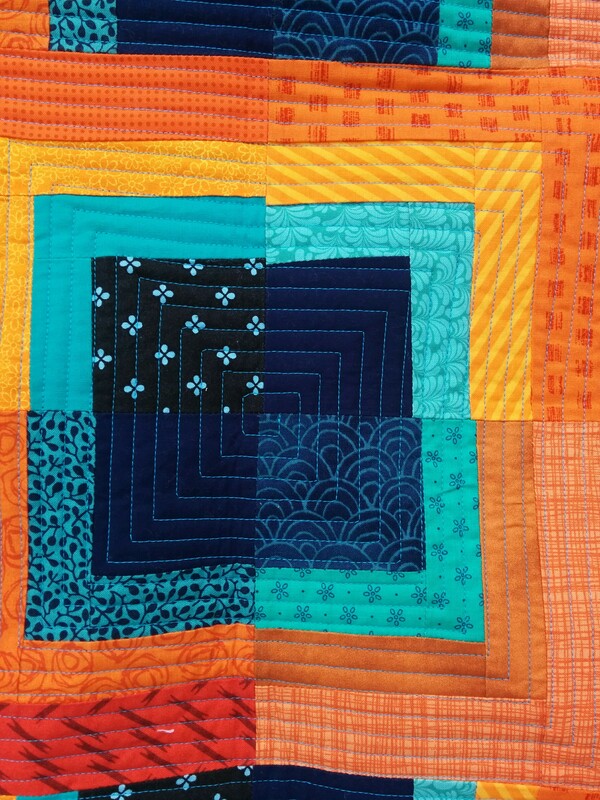 i didn’t want the quilt to get too big, so i limited myself to the middle square, and cut off the borders. 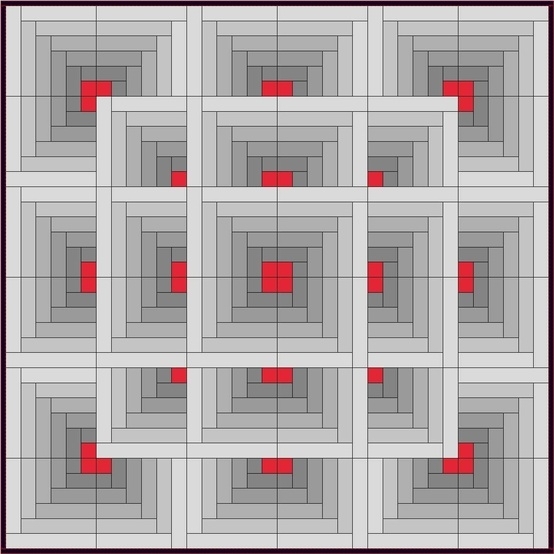 then, i found this tutorial for “quartered squares, a modified bento box.” i didn’t follow it exactly, because i wanted my mini to be a little more on the wonky side, and not so rigid. 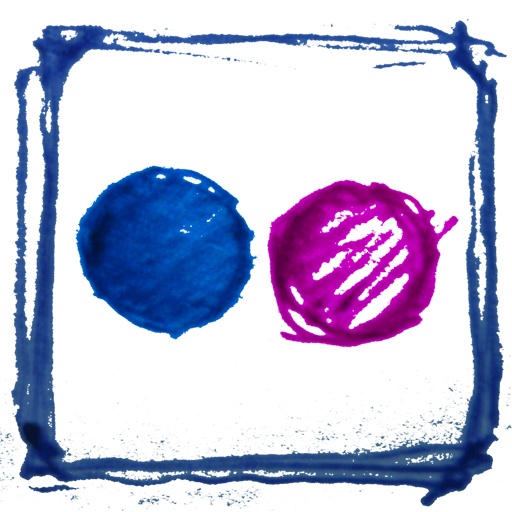 i almost made it all the way around with one continuous line, however the bobbin ran out near the end. darn it! 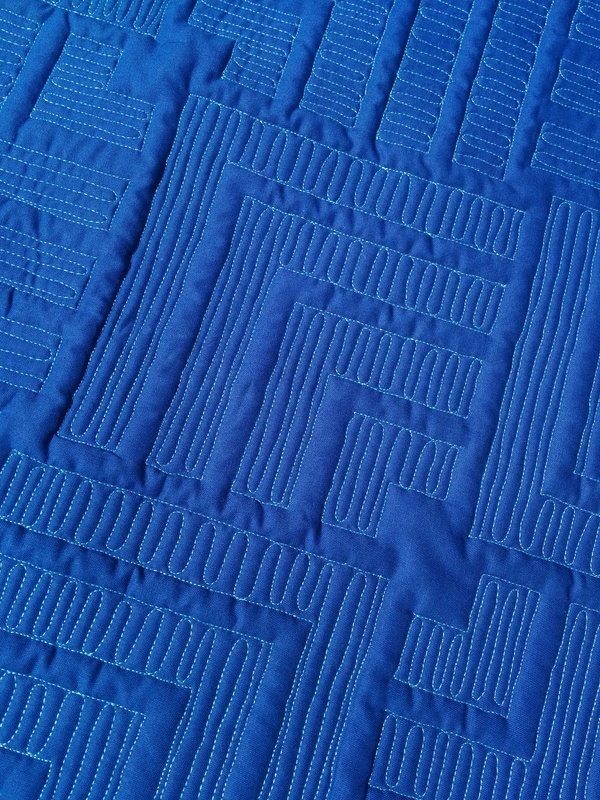 my quilting and bias are still not perfect, but are slowly improving. i had to ask yvonne not to judge me too much on my skills (or lack thereof). we agreed not to wash them, although that is usually my favorite part, because it hides a lot of mistakes, lol. 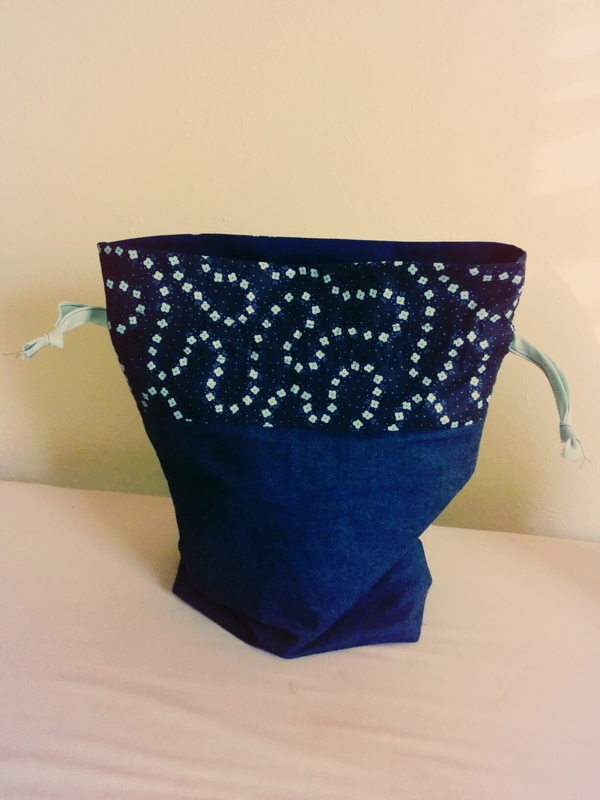 for extra goodies, i made one of my favorite drawstring bags; one of the larger sizes. 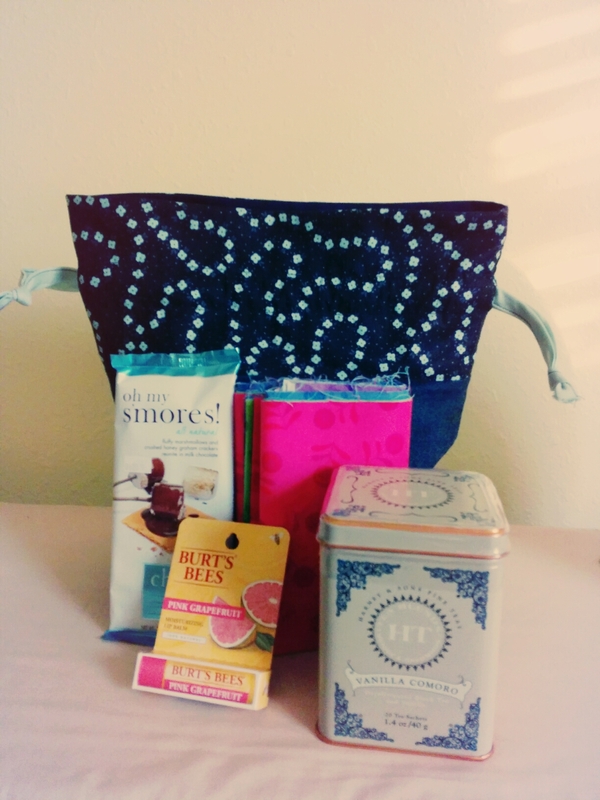 i also included some fabric, decaf tea, lip balm, and a fun candy bar. 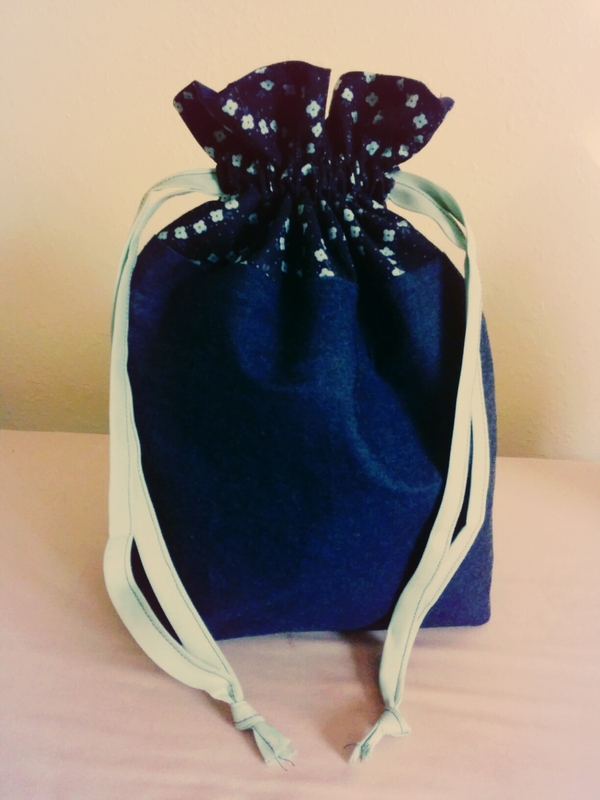 i had never made one of the bags with denim before, but i really like the way it looks. now do you see why i said great minds think alike?! 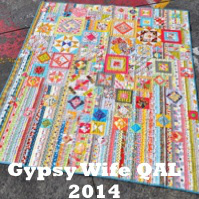 our quilts are almost identical, and could be twins as she put it!! we both went with the same bento box idea, the only difference is how we arranged them. i honestly could not believe it for a second, i was that taken aback by the similarity. yvonne thinks we even used the same thread LOL! these colors are like a dream come true for me. so many shades of blue, and teal…and also subtle hints of metallic gold and pops of coral. does she know me or what?! 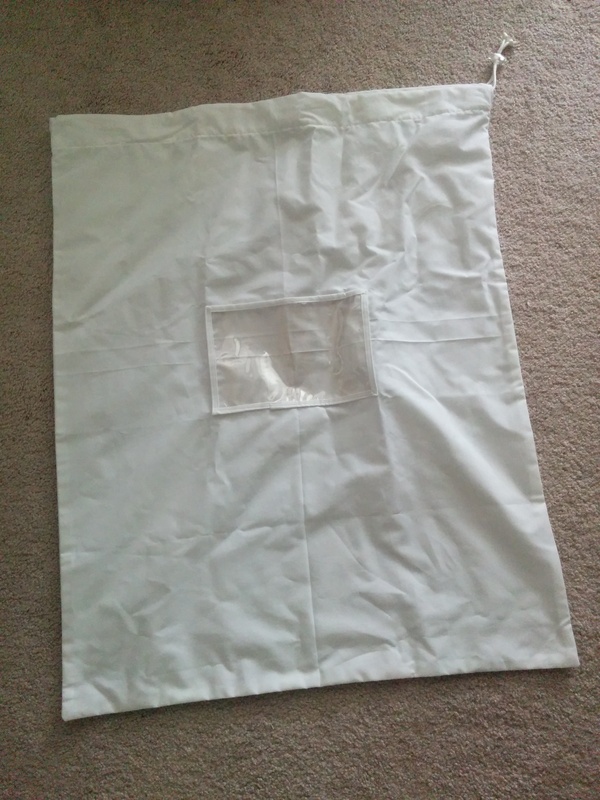 and as if i hadn’t shamelessly coveted enough items of hers, yvonne was generous enough to send me one of her handmade archival storage drawstring bags for large quilts! 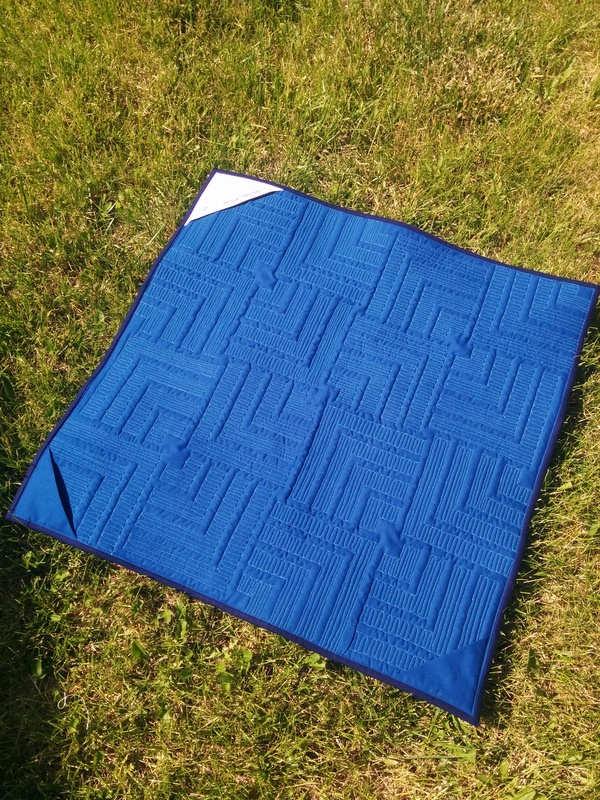 i just finished what i’ve begun calling “our wedding quilt,” that i want to use during our engagement pictures this sunday, so now i have a nice way to travel with it, and keep it protected. and last, but certainly not least, since yvonne has been following my (probably very annoying weight loss journey), she sent me some recipes to try out, and an itunes gift card to download some new songs or apps for working out. yvonne posted the picture of my gift to her on instagram and it has already received about 75 likes and lots of lovely compliments as well. that brings a smile to my face! now i’m off to post a picture of her gift to me and i know she will feel the love too! 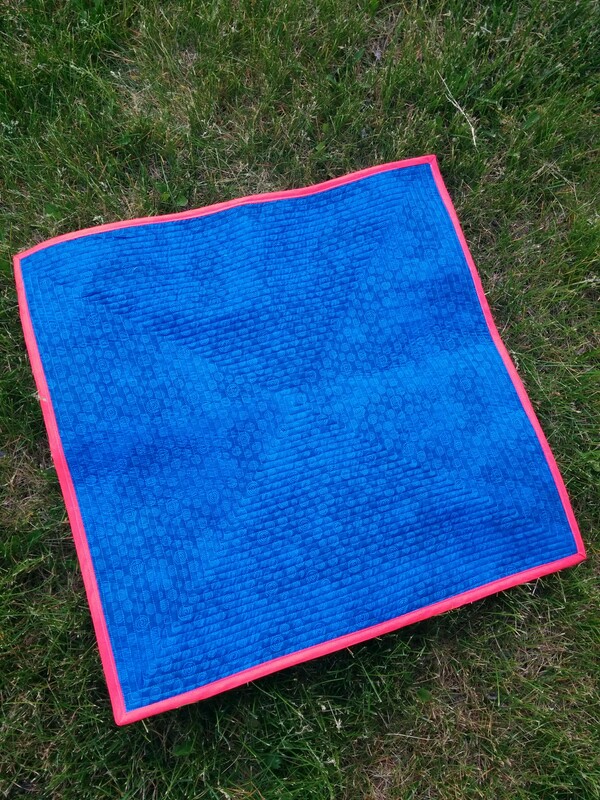 ← rain rain, go away, or don’t! 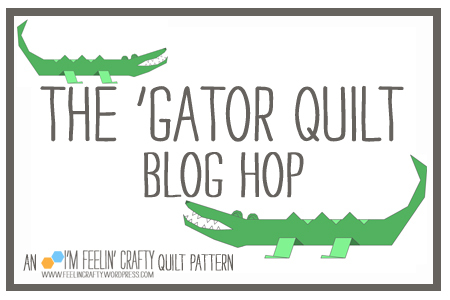 I definitely get the “separated at birth” vibe from these two quilts! I’m glad the swap went so well. Yvonne is a great person. I love these minis you made each other! 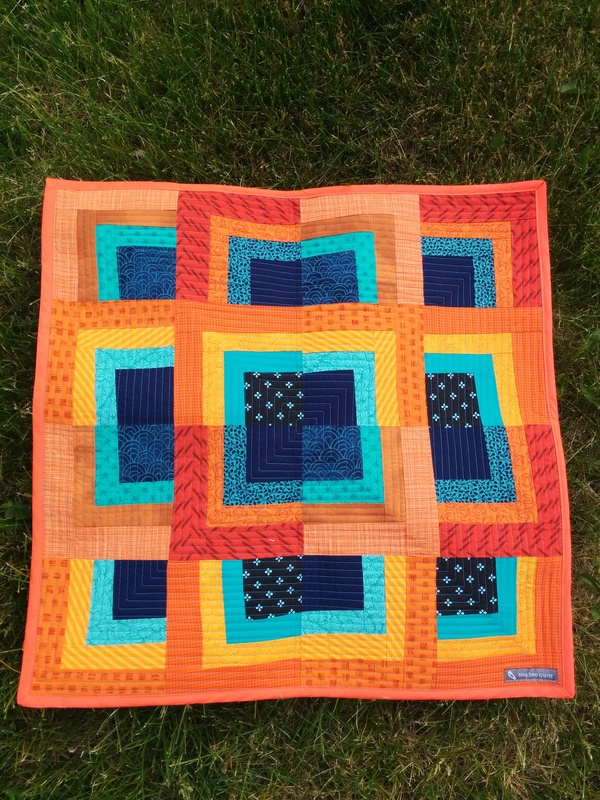 I’m not normally a blue/orange girl, but the colors look so good together that I think I may have been subconsciously inspired when I picked the fabrics for my next quilt. Beautiful! 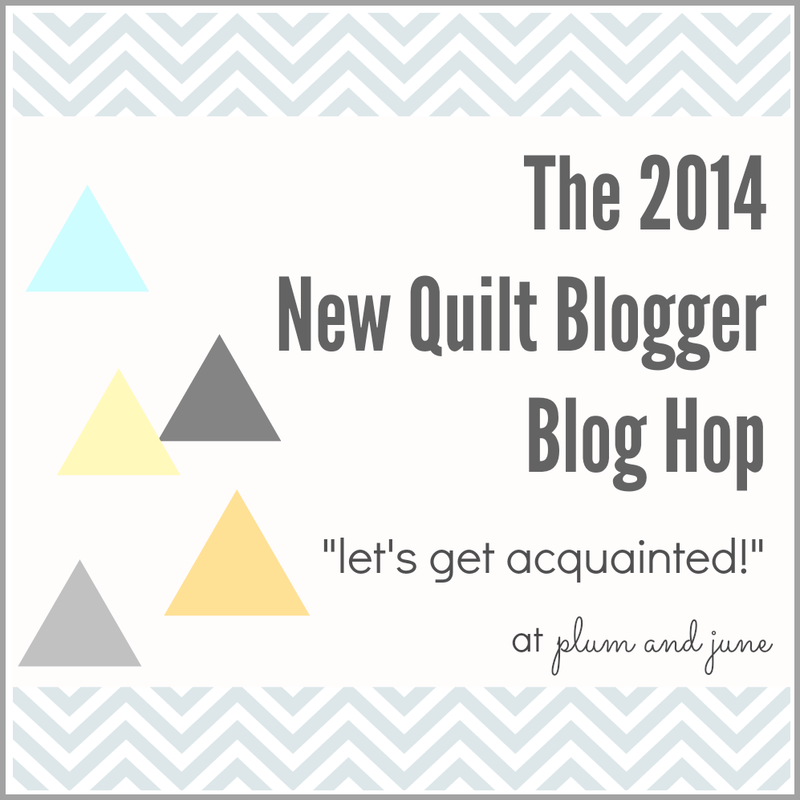 So funny that you both used the same idea for your quilts! They look so much alike, and yet so different too. They’re both beautiful!